as to modern music is everlasting. that a new Floyd album will be coming in the future. to play on each Pink Floyd album. grew up in Cmabridge and went to the same high school as Syd Barrett. reunion with Gilmour tug at every Floydian's heartstrings. 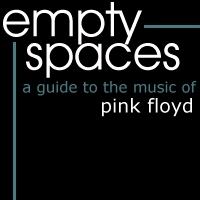 is still prime, and hopefully will be released in a new Floyd album soon.